Are Landlords Losing Money by Collecting Security Deposits? 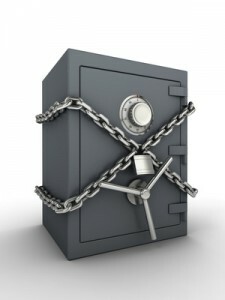 There are a number of situations where collecting a security deposit can come back to bite a landlord, leaving him or her to not only absorb the financial losses of unpaid rent or property damage, but in some cases, to pay money out-of-pocket to a deadbeat tenant. For instance, each month in British Columbia, tenants are awarded money from their landlord for one simple reason: the landlord didn’t follow the rules. In B.C., before taking deductions from a security deposit, the landlord must request dispute resolution within 15 days after the lease terminates or the tenant provides a forwarding address in writing. If the landlord fails to take this step, the tenant may be entitled to a penalty of double the security deposit. If the landlord also collected a pet deposit, the penalty can quickly escalate. In Ontario, tenants may claim injury to their rights if a landlord attempts to collect a security deposit, a practice prohibited there. In Alberta, a landlord cannot automatically take deductions from a security deposit unless he or she has also completed a move-out inspection report. These are but a few examples of the regulations that landlords face when collecting and applying funds from a security deposit to any resulting damage to a rental property. Landlords can’t afford to make assumptions concerning the handling of security deposits.